A polar explorer is teaming up with a global education initiative to offer students in Plymouth the chance to gain the confidence to tackle their own future challenges in work and study. 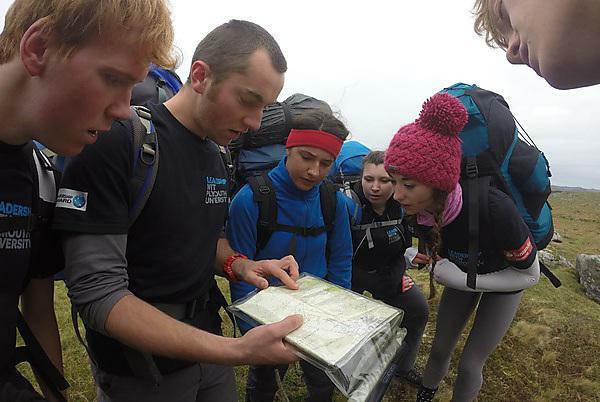 Antony Jinman, Explorer-in-Residence at Plymouth University, is to provide financial help to students who want to attend a renowned leadership programme in Devon - thanks to funding from Santander Universities. And second year English student Hannah Finch, has been using her newfound skills to plan another trip with Antony. Antony Jinman, Plymouth University explorer-in-residence and Emma Parker, University Relationship Branch Manager, Santander Universities. We welcome this opportunity to work together to provide opportunities to students.